The cocktail I'd like to share with you this week, is a Bespoke Cocktail named the Fabrimanus. 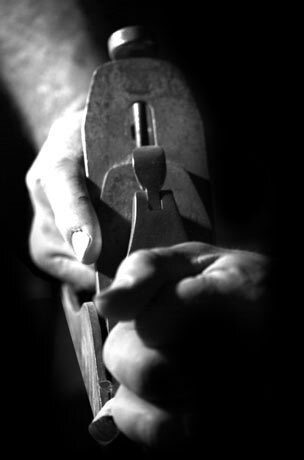 Fabri Manus is derived from the Latin translation of 'The Artisan's Hands' and is the name of the bespoke, cabinet making firm, run by husband and wife team, Michael and Caroline Usher. Michael is the Artisan whose hands create the bespoke joinery and cabinet making commissions and Caroline takes the helm of the business side, allowing him to focus on creating high quality pieces for their diverse portfolio of clients. This September marks the ten year anniversary of the company's instigation and is a milestone achievement for them both, brought about by talent, hard work and exacting standards of quality and workmanship. 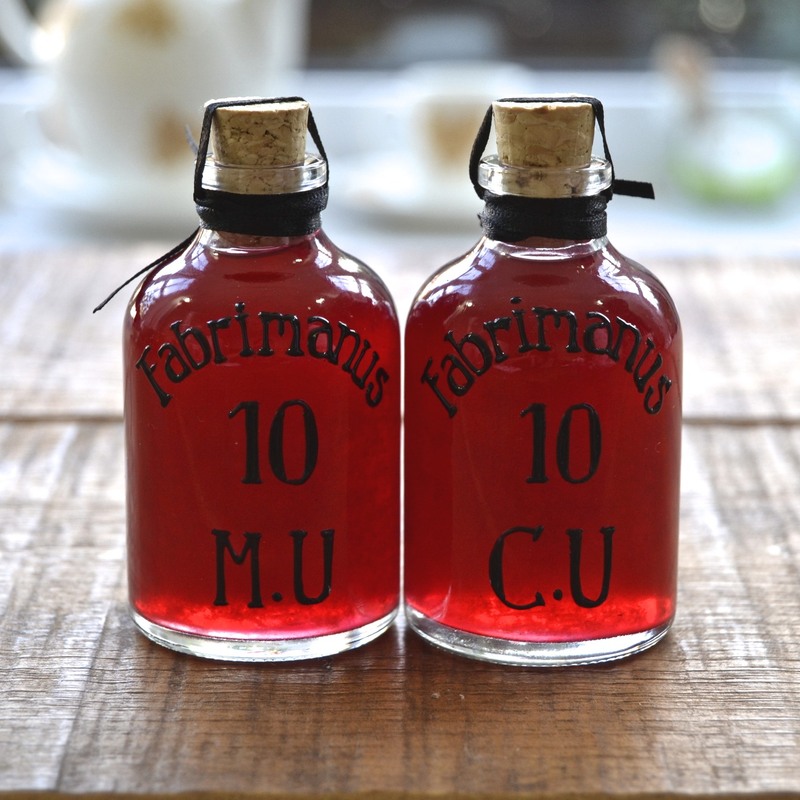 In the end, I decided to make a homemade Blackberry Liqueur that seemed to be in keeping with Fabri Manus ethos and was something that Caroline could quite easily make and store to use in the Bespoke Cocktail as well as others. The tangerine sage, when muddled in the drink, added an extra fruity, earthy dimension that was further enhanced with a dash of Angostura Orange Bitters. I opted for the Williams Chase Elegant Gin as it is quite a light, fruity gin with a slight apple nose that was perfect for combining with cider. In fact, Williams Chase Elegant Gin, unlike most, is actually distilled from apples rather than grain and in the early stages of the process, is a flat cider. And finally, but all importantly, the cider. I toyed with the idea of using an artisan brand, but truth be told, my client is partial to Strongbow and it is a perfectly quaffable, light and fruity drink, so that is what I went with. I created a base cocktail using all of the above ingredients that could be shaken and served short and sweet, like a martini, in a stemmed, cocktail glass or served over ice and topped up with extra cider to make a long, refreshing, summer cooler. 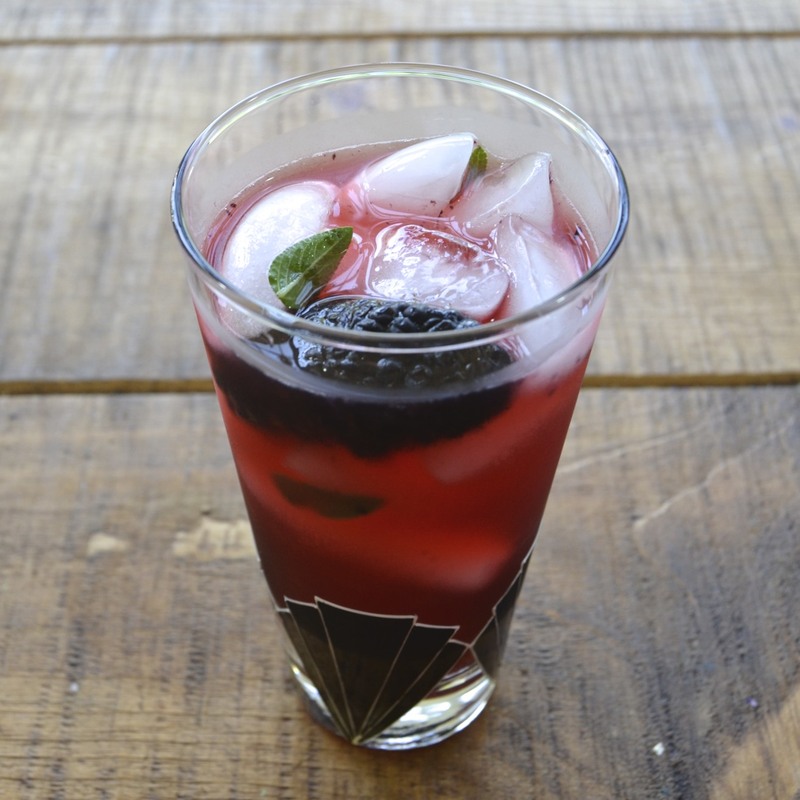 In the bottom of a shaker, muddle (gently squish) the tangerine sage with the gin and blackberry liqueur. Add the cider and stir for about 20secs to remove the fizz (this will ensure there are no explosions when it comes to shaking the drink). Add a couple of dashes of bitters and a handful of ice. Shake hard until the outside of the shaker frosts over and strain into a chilled, stemmed cocktail glass. Garnish with a fresh blackberry on a cocktail stick. 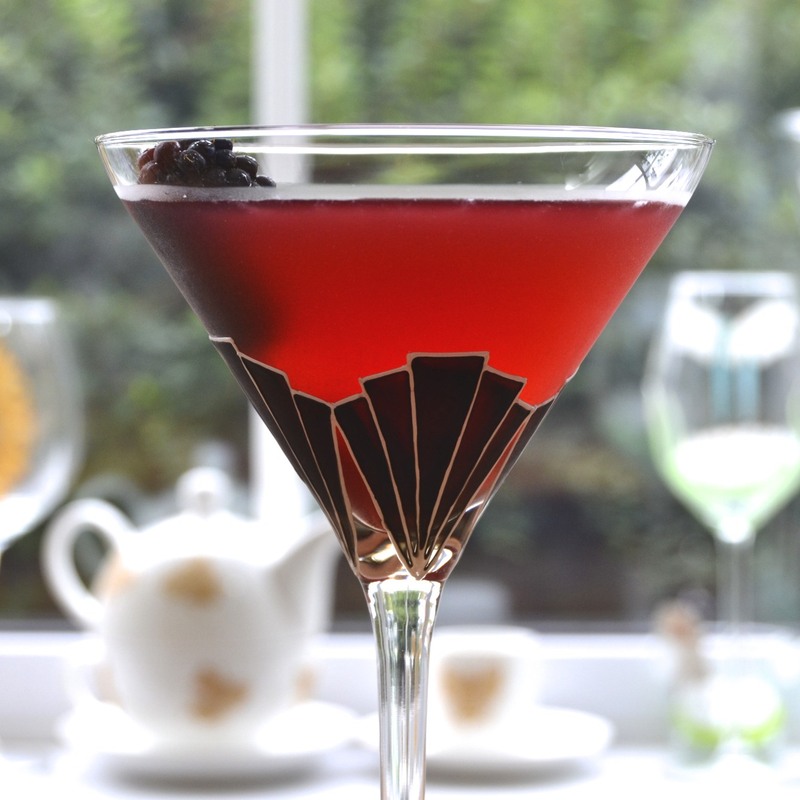 In the bottom of a tall sturdy glass, muddle (gently squish) the sage, blackberry, gin and liqueur. Add a dash of bitters, plenty of ice and top up with fizzy cider. Should you decide to try this one at home, be sure to raise your glasses to Michael and Caroline Usher, without whom this cocktail would not have been created.